There are lots of internship opportunities out there - so how do you choose which internship is right for you? Some people choose based on location, others on how much money they may be able to make during their internship, but most choose based off of the company's reputation. 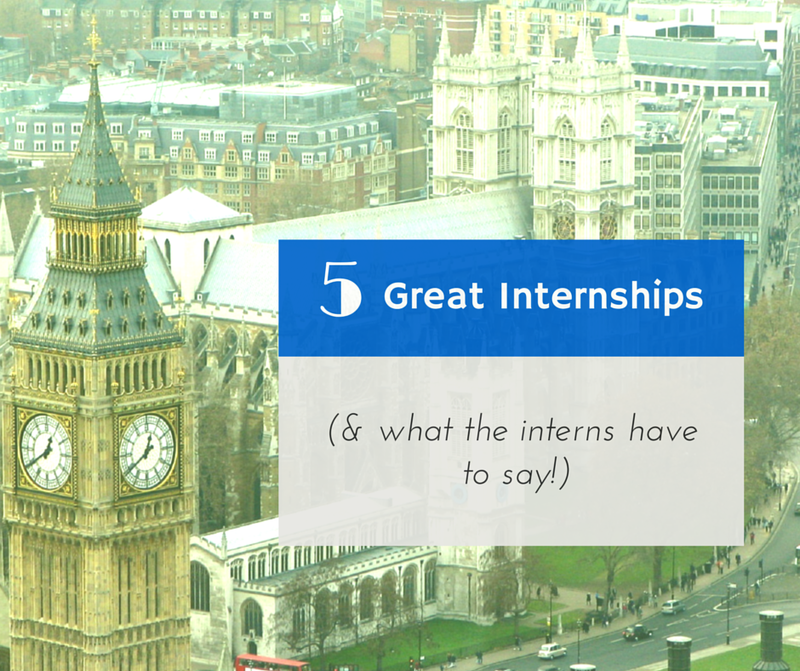 These are 5 of the top places to intern at, with some of the company's that are most beloved, including some feedback from the awesome RateMyPlacement. Once you've gotten that amazing internship with one of these guys, find your perfect accommodation for your medium term stay on FlatClub! Grant Thornton - UK Chartered accounts, Grant Thornton offers many internships throughout the year. This review from RateMyPlacement is in regards to interning on the auditing team. Interning with Grant Thornton? Stay nearby on FlatClub! Amazon - The eTail giant has a variety of internship programs. Starting your career with Amazon? Find accommodation nearby on FlatClub. BAE Systems - This innovative defense, security & aerospace company is headquartered in the UK and has many open internships. If you're working at BAE Systems, we have flats available nearby. BDO - Providing auditing, tax, and critical accounting services to businesses keeps BDO looking for top quality interns all year long. Got something going at BDO? Find your room or flat nearby on FlatClub. Google - Everyone knows Google, and they're a great place to intern for future development work or managerial positions. Off to Google's Dublin HQ? We have plenty of accommodation you can book near the Google office. Looking for more internship info? We've got you covered.